For those who would like to work on their weight exercises, but do not want to invest in a full weight set, there are few better options than investing in a kettlebell. While other weights can quickly get boring and stop helping you achieve your gains, you will find that kettlebells are far more versatile. A kettlebell is a round weight which has a handle on the top which can be gripped from the top or the sides. You will find few options which are just as effective as the kettlebell if you are looking to develop your lower body or even your arms. The most famous workout which uses the kettlebell is arguably the kettlebell swing. Today, we are going to be looking at the 10,000 kettlebell swing challenge, which may sound intimidating. It should look intimidating, as it is one of the most challenging workout challenges that anyone can undertake. You will find that there are few challenges which will test you so. We are going to be taking a look at the objectives of the program, followed by the rest periods which you will need to take and then we will take a look at results and progression. If you are only seeking to learn one of these aspects, feel free to skip ahead to the info that you need. The Dan John 10000 kettlebell swing challenge is quite simple. 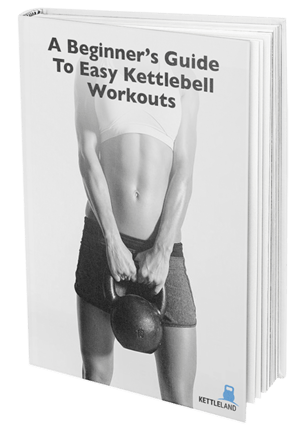 It consists of a workout program in which you need to accomplish 500 kettlebell swings per day for a total of 2000 to 2500 kettlebell swings per week. This means that you will need to perform 20 workouts to attain your goal. These 20 workouts will be accomplished over the course of a month or slightly longer, depending on your choice of rest periods. Keep in mind that many will drop out of this exercise challenge due to the sheer challenging nature of it. To reach 500 kettlebell swings per day, you will need to split the workout into five groups of 100 swings, which are themselves composed of four sets. These sets will work you out in an ascending pattern which gives you adequate time to warm up. The first set is 10 reps, the second is 15 reps, the third set is 25 reps, and the final set is 50 reps. The immediate rest period after you accomplish a set is half a minute to a minute. As you continue throughout the day, you will have to increase the duration of your rest period as you get more and more tired. You will find that stretching during these rest periods is an excellent way to keep yourself from pulling a muscle. Ensure that you do not skip rest periods while you are working out, this can result in injury, or even worse. These have been incorporated into the workout for your safety, and the workout plan was formulated by a veteran coach, so it is safe to say that these rest periods are there for a reason. As with any other intense workout challenge, you will lose a good deal of weight in fat, as you build up more and more muscle. The muscles which are developed by this workout challenge are the abs, glutes, and leg muscles, which all become more powerful and more defined. The 10,00 kettlebell swing challenge is not to be taken lightly. If you are experienced with weights, you may still find this challenge nearly impossible. This challenge is meant to be undertaken by those who are tired of their daily workout and ready for something new.